Samson's '66 More Than Lives Up To The "Hype." Samson Fernandez is a 28-year-old plumber from Mesa, Arizona. 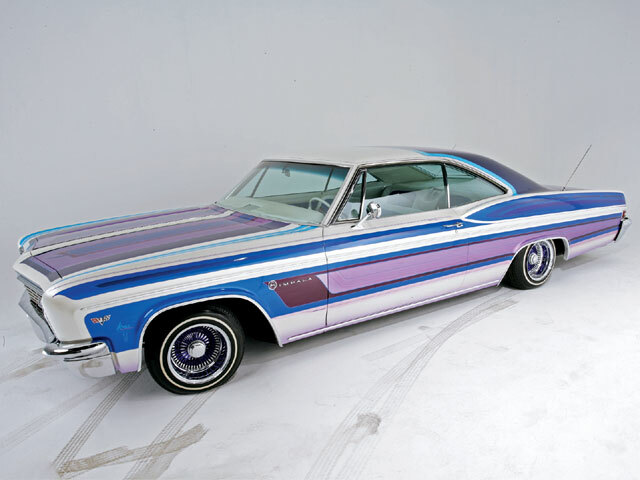 When he’s not putting down pipe or whipping out his “snake” to unplug some distressed housewife’s stopped-up drain, he likes to unwind with his family or take his colorful ’66 Chevy Impala, “Tecato,” out for a spin on the sun-drenched streets of Arizona. He’s also been known to flick a hydro switch on occasion as well as give the gas to the 327 V-8 and leave some Hyundai-driving fool in the dust. Now Samson’s not the type to jump from car to car. In fact, this is his first and only lowrider (at least of the four-wheel variety). 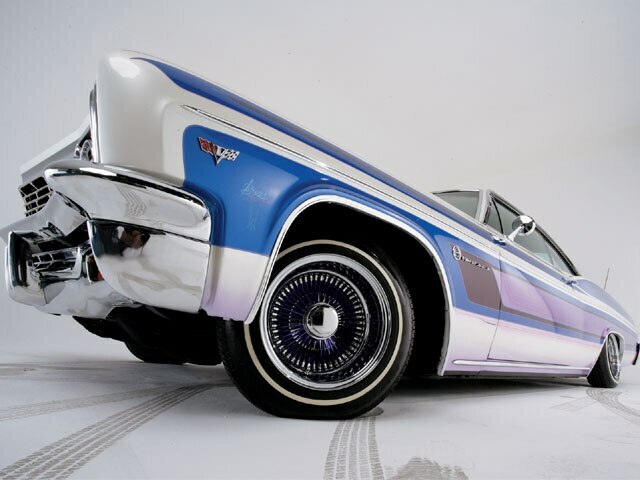 “I started lowriding when I was about 12 years old,” Samson says. “I built a lowrider bike and started showing it.” The hands-on experience gained from building a bicycle served Samson well later in life, both on the job as a plumber and in the garage where he applied his skills to working on his ’66. 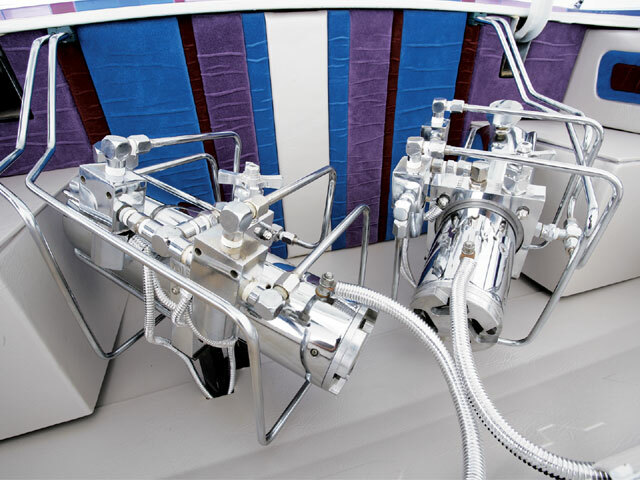 Engine/Drivetrain: Stock 327-c.i.d. with chrome accessories, Powerglide transmission and 12-inch glass-pack exhaust system. 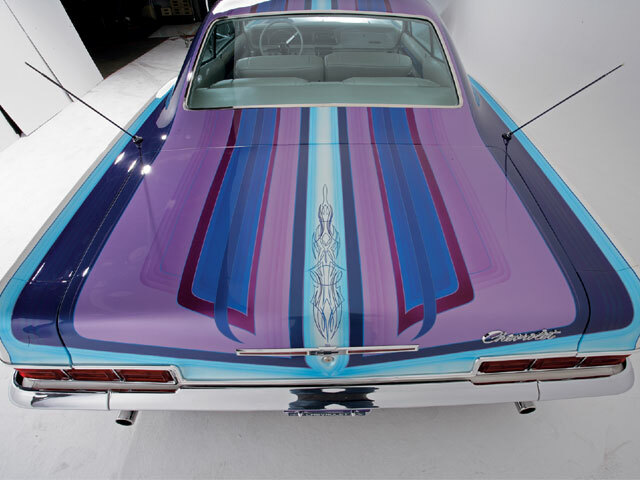 Body/Paint: The distinctive multicolored finish with “candy graphics” is the work of “Arizona Bugs” at Bugs Auto Art in Mesa. Jason Delgado did the body work. 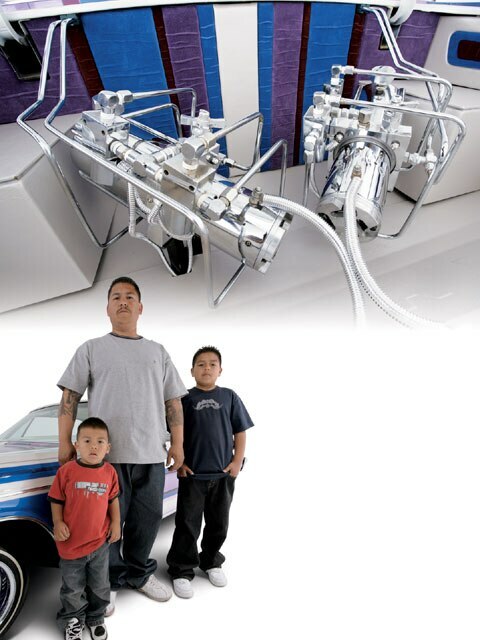 Papago in Phoenix, Arizona, provided the chrome plating. 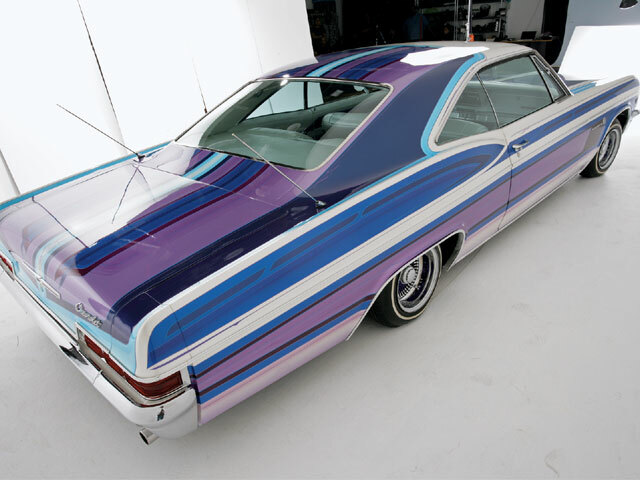 Interior: The colorful upholstery with exterior-matching patterns was stitched by Dominic Dominguez at Custom Interior Fabrications in Phoenix. Sound System: Samson sends a strong signal with an Alpine head unit and Boston Acoustics midrange speakers that he installed himself. Setup: A pair of Red’s Hydraulics Super Pumps with four dumps, 6-inch (front) and 10-inch (rear) cylinders, 7-ton (front) and 2-ton (rear) springs, 10 switches, six solenoids and four batteries were all installed by the owner in his garage. Being a plumber, Samson is especially fond of the steel tubing.